After a hard and long day at work or running around, often all we dream about is lying down on our bed and watching a movie or our favourite television programme. This is a very relaxing way to spend our time, keeping us feeling relaxed and peaceful in the cosiness of our bedroom. When it comes to your bedroom design, however, you want your television to be positioned in a spot that is easy to see and watch without having to strain your neck or your eyes. You also don't want it to take up too much space in the bedroom or be too chunky or in the way. This is why today at homify, we've put together 15 expert ways to position your television in the bedroom. These will show you exactly how you can create the perfect relaxation pad in your very own bedroom, combining your two favourite things: your bed and the television. This will be the most ideal place for leisure once you've placed your TV in the perfect position. 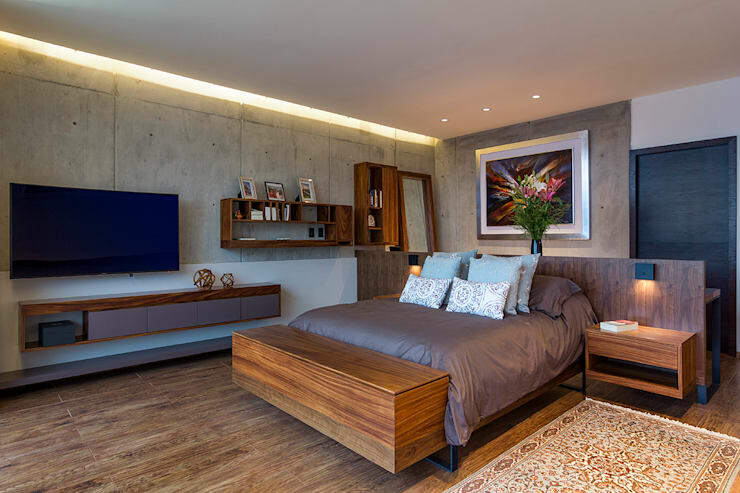 To create a beautiful bedroom, you need to think about all of the furniture that will be included in the space before you think of adding a television to the picture. 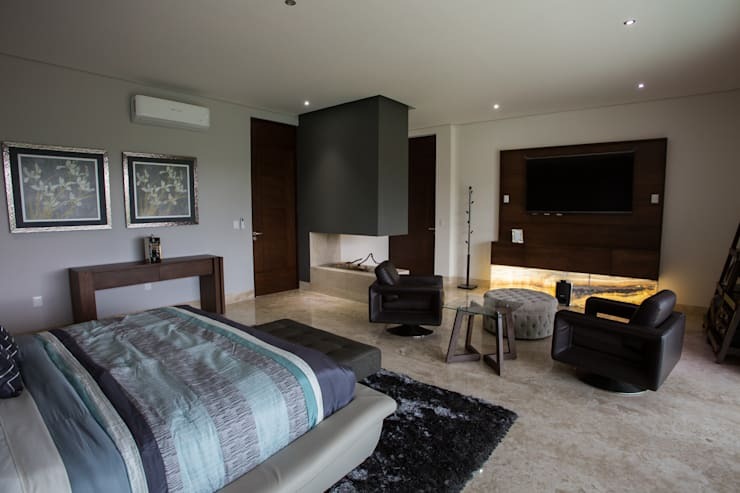 Once you have your style, you can add a television that will complement the existing furniture and design, adding more beauty and radiance to the room. 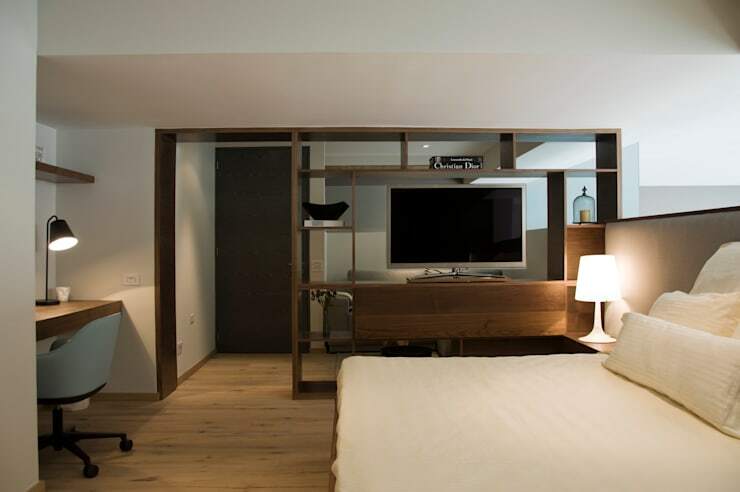 In this image, we can see that the television takes on a very distinctive design, while creating a barrier between the bedroom and the living room. This doubles up functionalities, separating spaces while providing the perfect spot for the television. In the past, people would refuse to put a television in their bedrooms because of how much space it occupies, especially if the room is small. However, with technological advances, televisions can fit sleekly against the wall. The presence of the television in the bedroom can create a little bit of chaos, cramping the room. This is why you should allocate a piece of furniture to the television, which will form part of the room structure. As we can see in this design, by professionals Basch Architects, this forms an essential part of the room structure. If you don't have the space to put a television in front of the bed, there are so many other places that you can position the television. This could be because you have a cupboard or a window in front of the bed, leaving no room for a television. 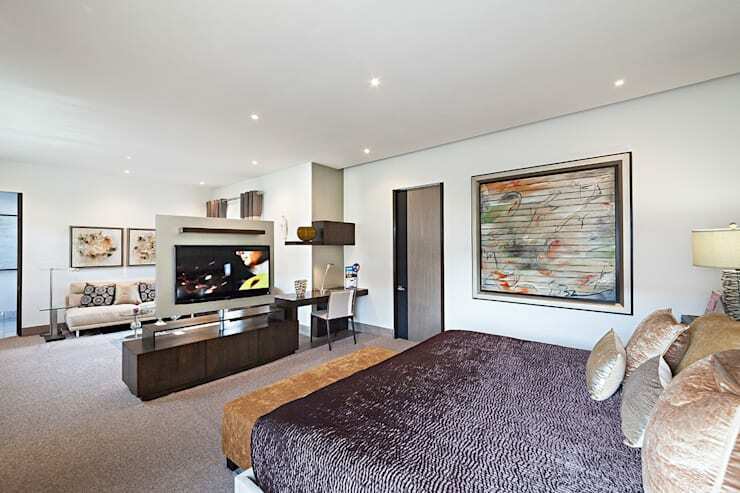 As we can see in this image, you can also put a television on the side of the room, adding to the design of the wall. You may just need to sit up in bed to watch it. 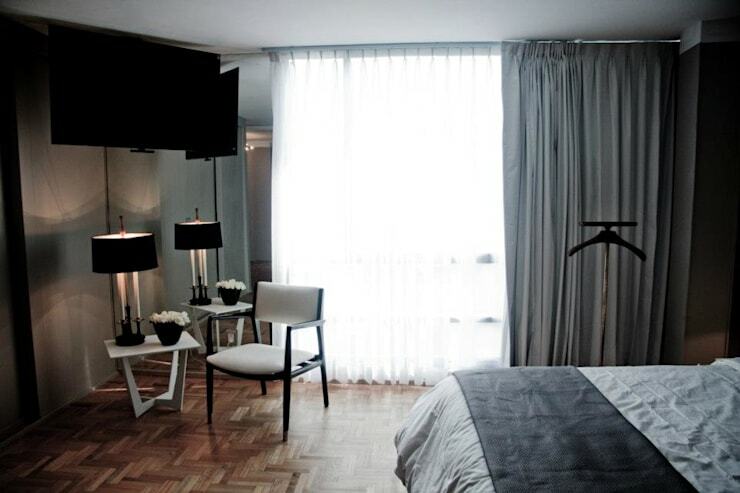 Another way that you can find a suitable place for the television in the bedroom is to utilise the corner of the room. Add elegance, warmth and a touch of the rustic to your bedroom in the form of a wooden unit for the television. It will create a very intimate bedroom space! If you put your television on the wall and add some furniture to the same space, like we see in this image, you need to find a design that works in harmony with the shape and lines of the television. The structure and design of the room should flow. While watching the television from the bed is relaxing, it can be quite cumbersome after a long period of time. This is why you may want to create a separate area where you can watch television. 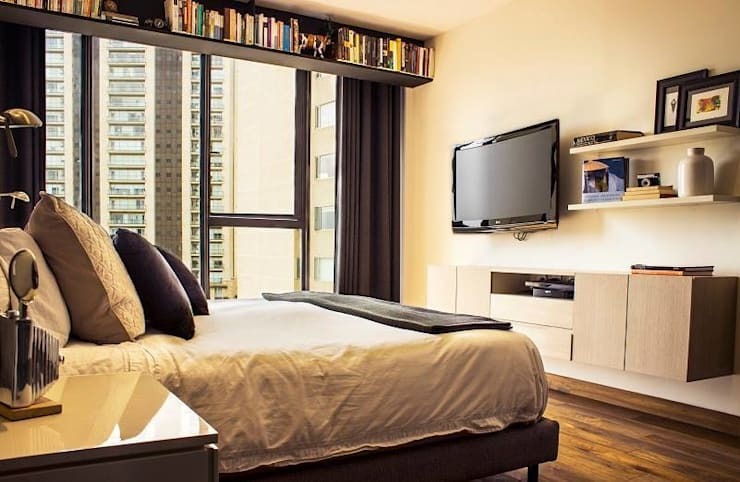 In this image, we can see how it's possible to watch the television from the bed as well as from the chairs, giving the residents so many options. Another strategic place to add the television to the room is to fit it into the corner of the bedroom, suspended from the ceiling. This way you'll take up no floor or wall space and you'll be able to comfortably watch it from your bed. 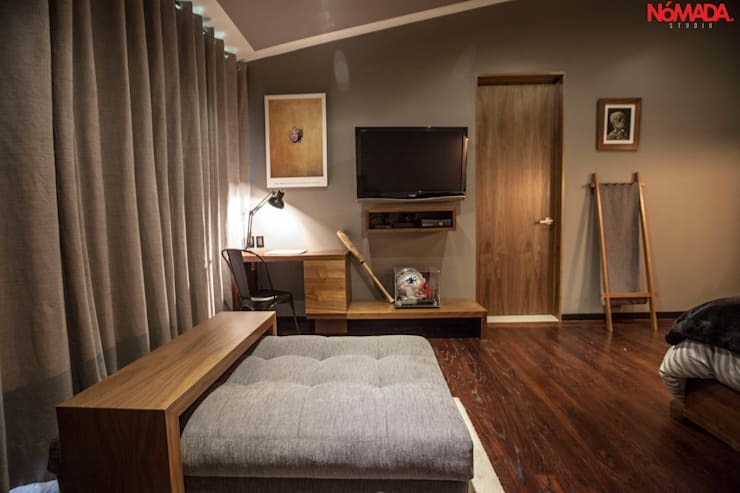 Having a television in the bedroom may end up creating a little bit of clutter and chaos so make sure that you keep the room well-organised, neat and tidy where everything has a drawer or cupboard to be stored in. You can also use a similar design to this for your television screen, allowing you to use it for more than just watching programmes or movies. You can use it for work or for games too! 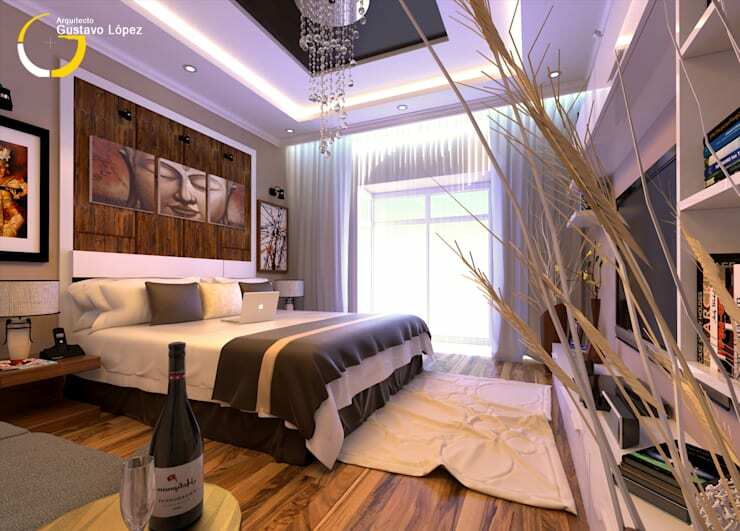 Do you think that your bedroom does not have enough space for your television? 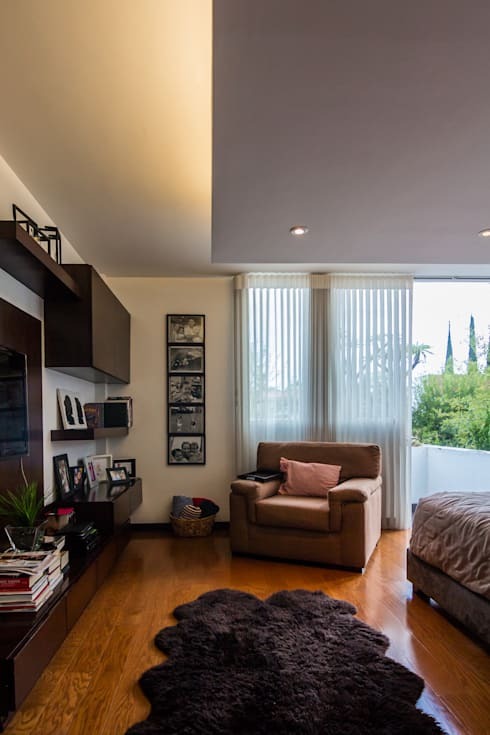 If so, go for a design like this where the television hangs on the wall. This keeps it neatly out of the way. 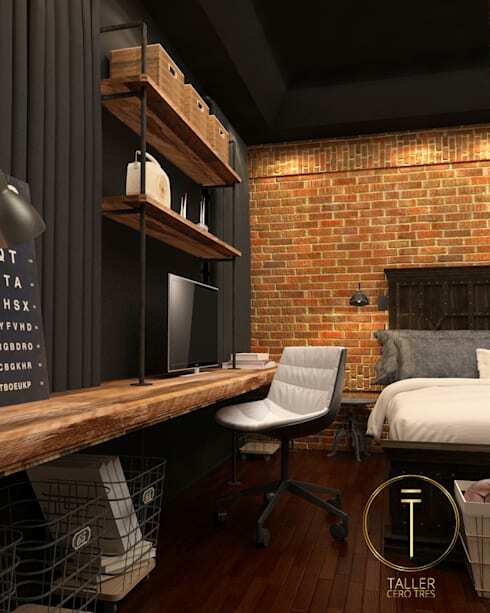 For more fun and entertainment, you can create a whole little hub in your bedroom. In this design, we can see how there is almost a home theatre! 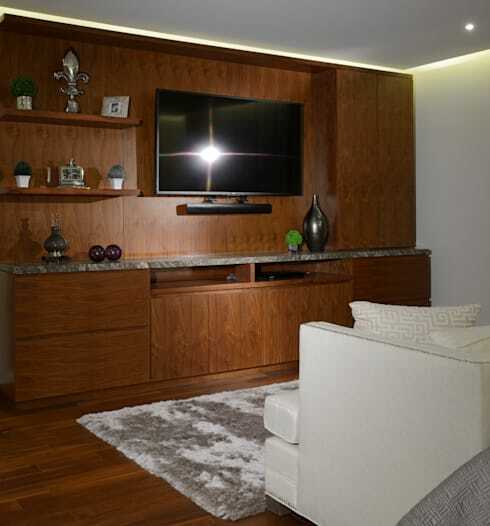 We end off our project looking at this very simple and special design, that shows just how much potential there is for a television in your room. If you've enjoyed this ideabook, you'll love these: Five bedrooms that underwent a legendary transformation.